Around this time 3 years ago my enterprise, Noxgear, was just starting to build and ship our first units to our customers who supported us on Kickstarter - a crowdfunding website that allows early support of a company in return for a product at some time in the future. That time had arrived and my business partner Tom, along with my family, would work long days in my living room assembling our first product, called the Tracer360. 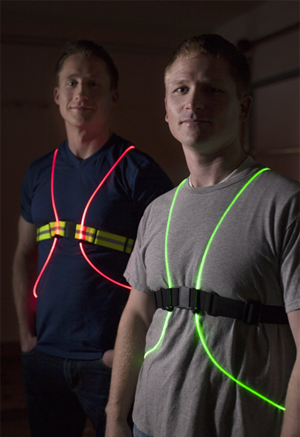 The Tracer360 (noxgear.com/tracer360) is a very unique illuminated safety vest for cyclists, runners, and walkers. With a very glitchy and sub-par website we managed to end our first year doing $90K in business, but still in the red from development costs. 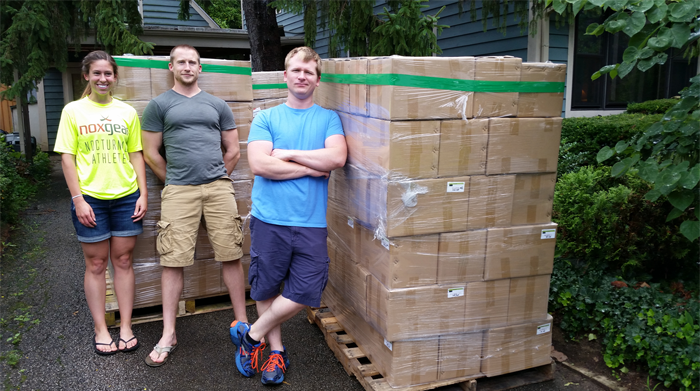 The following year we were profitable and did $350K in sales, still having done nearly all of the shipping and assembly from my house in Ohio. Last year, after starting production in Asia, we finished the year at $850K of sales. 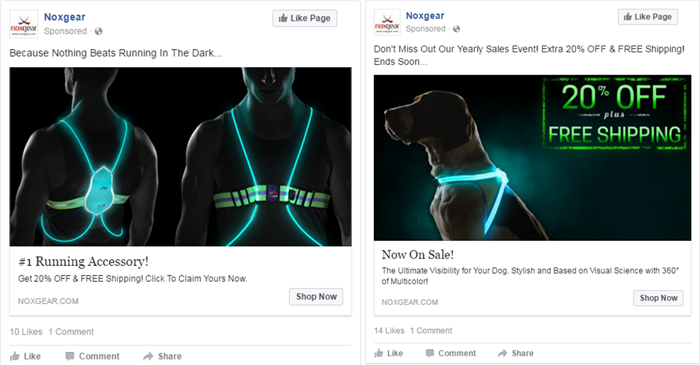 This year we’ve added a second product for Dogs (noxgear.com/lighthound) and we’re on track to complete the year at just over $2.2M in sales. Nearly all of our sales are online, directly to the consumer, and fulfilled from my house or via Amazon’s network of warehouses. We dedicate about 10% of our sales to our advertising budget, which is completely online with Facebook. 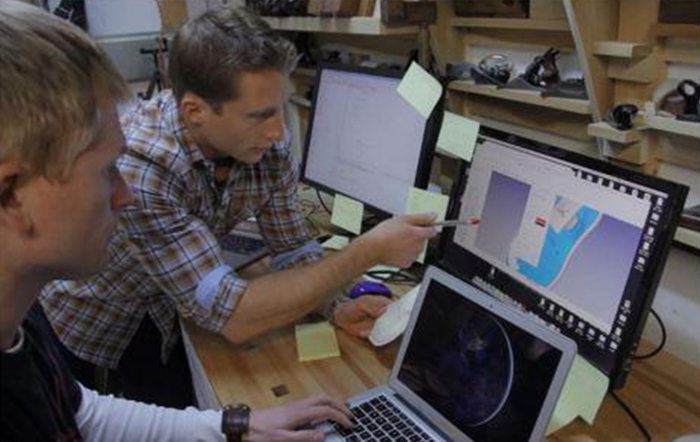 Staying lean has allowed us to bootstrap Noxgear into a successful company. We technically only have 3 employees: myself, Tom, and my fiancée Sarah. We also hire family, friends, and independent professionals as needed. We plan to at least double our sales every year, and expand only when it serves our need. There are countless other ways to launch enterprises that might result in faster growth - or a quick failure. I think the old adage fail fast, fail cheap is a bit dated. Using today’s online services and independent professional contractors, a company like ours was able to spool up slowly and iron out a lot of the kinks that might have otherwise caused a company with large startup costs to fail. At the same time fail fast, fail cheap is a good rule of thumb if you’re not completely sure your product or idea will be a success. But thanks to the guidance from The Latihan of Subud, I never doubted that. I feel bad for those who make business decisions like going after capital, getting business space, or writing blank checks to marketing companies without the insight of the Latihan. Sometimes people seem to do these things just because that’s what people tell them they should do, or how it is normally done. The approach that has seemed to work well for us, as Engineers learning to be businessmen, is to do things only when the need clearly arises. It’s nice to be able to tell my story of launching a successful enterprise from a Subud perspective. Normally as I tell this story to others I have to leave out a lot of the most important nuances because they relate to how I was guided innerly in many situations. In this article I can use some familiar lingo we throw around in Subud and it gives my story a theme. The Testing I’m referring to isn’t the typical Testing we do when we ask a question, then surrender and receive with the Jiwa. It’s the other Testing of our limits and our capacity that Bapak would often refer to during his Ramadan talks. It is when we undergo some sort of stress, discomfort, and suffering to learn about our real limits, not the false limits. Bapak would go for long walks in the hot summers during Ramadan to feel his true capacity with his human body. I’m a runner, so during Ramadan I’m always exploring my limits by running in the heat before breaking fast. For the record, this is usually the most enjoyable training I have all year - a gift of Ramadan. When I race a short 5K or a Marathon (26.2 miles) I always reach a point during the race where my mind tells me my limit is reached and I should slow down. But deeper inside I know this voice is not correct and I’d be lying to myself if I gave in then. Usually those are the races I win or set new records for myself. Finally, it is a story about making an effort and not lying to myself. Again, Bapak would point towards this during Ramadan as one of the lessons learned. He would say that if someone is fasting, but they sneak off and break fast, but keep telling everyone they are still fasting, they are just lying to themself, and that is truly a mistake. When I carry this into my daily life and I’m Tested by a hardship, before I give into self pity or give up, I ask myself if I have done enough. If I cannot lie to myself and there is more that can be done, I do it. It’s usually this extra bit of effort that has made all the difference and allowed me to have a successful life. With few exceptions, for the past 20 years I have remained diligent and done Latihan 3 times a week. I just couldn’t lie to myself at the end of a week and pretend like I couldn’t fit in the 2 hours for something that I understood to be the most important thing for me in this life and the next. This was true even through college. And because of the Latihan, not in spite of it, I graduated amongst the top 10 individuals at The Ohio State University with a Bachelors, and later Master's, degree in Electrical and Computer Engineering. There are a few good stories that I could give as to how the Latihan guided me to success in College, but this article is long enough already. The success seemed to truly snowball as I started my career as an Engineer at Moog Inc, an Aerospace Firm in Buffalo, New York. Much like the Subud success stories go, I couldn’t believe at how quickly I was elevated in the rank and file at the company. My friends and coworkers shared that feeling by always telling me how lucky I was. Within about 3 years I was spending most my time working with the executives of the multibillion dollar company while also leading exciting and cutting edge research and development work. I was comfortable, making a nice salary, and felt successful and secure. One day I read a Bapak talk that I’ll never forget. Bapak asked something like: if someone else can create a successful company, why can’t you? That was it, the seed was planted. I had no reason to say I couldn’t, so I had to try and find out. I also realized that I was starting to recede into the comfort provided by my position. I felt like I needed to test my abilities, especially because I knew it was going to be difficult. I found a companion in this journey at the company where I was working. Actually he was from a similar area of Ohio, about 400 miles away from where we both worked in Buffalo. We even attended a class together at the same college years earlier, but didn’t know it at the time. His name is Tom, and he’s now my business partner and co-founder of Noxgear. Tom and I spent nearly every day after work prototyping inventions until we found an idea that got us excited enough to launch a company. The decision to leave my job was made without hesitation, thanks to the clear guidance I’ve come to trust from the Latihan. At that time, if a non Subud member were to ask why I left such a great job; a job where it was mentioned, behind closed doors, that I was slated to be an executive - I’d tell them that I was passionate about starting a business or that I was passionate about my idea and my product. But the truth, that I could only mention in Subud circles, was that I was testing my ability to start a successful company and that I trusted completely the guidance that I was following. I’m very thankful that in work, and in life, I’m often able to receive an indication that I’m doing something incorrect. So I trust that as long as I keep making an effort and working away without this indication, God is guiding me and things will work out fine. That was certainly true for this decision and for all the ones I face today running my enterprise. Although, I have stumbled many times, and continue to do so from time to time by lying to myself and ignoring my receivings. While unpleasant, it always serves as a reminder that God’s guidance is very real and should be trusted. This guidance finds it’s way into every corner of my business. There are a thousand little examples that add up to make all the difference. One day when we were struggling with our plan to spool up production in China we met to discuss an important process of making our fiber optic. The discussion was bound to last days and cause weeks of work. The familiar feeling inside me was telling me it wasn’t important so I asked that we stop and that Tom trust me. He did, and everything worked out without us needing to be involved. Our first Kickstarter campaign (we had a second campaign for our Dog product) was launched when we were very new. We had just moved back to Ohio from Buffalo and there was very much the sense that everything was on the line. Kickstarter is all or nothing. If you don’t raise the amount of money you are asking for within the set amount of time, you end up with nothing. We put as much effort as we could muster into the campaign and into pitching it every day to media outlets. As the money we were raising really started to flatline, we wondered, what else could we do? We’ve worked so hard. I recalled that Bapak had mentioned that you can do a fast twice a week - with the intention and prayer for a specific outcome. So I fasted. At the end of the fast, on the second night, I went for a long run, wearing a Tracer360 of course. When I returned home I glanced at my computer and saw that we had just raised more money in the past hour than we had in the past week. What had happened was that Mashable (large online media outlet) had done a special story on our Kickstarter Campaign. The momentum from that immediately led to our success. Thanks always to Almighty God. Now that our sales are increasing daily we are faced with the problem of making a quality product in Asia to meet our demand. 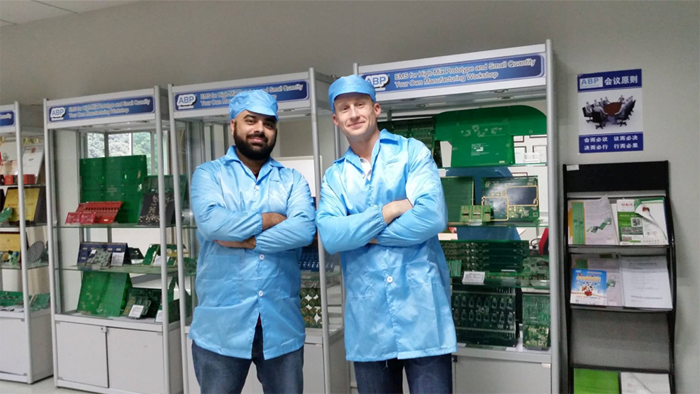 We have partnered with two gentlemen, one from Greece and one from New Zealand to run our factory in Shenzhen. They are both 34 years old, the same age as Tom and me. Over the past few years everyone’s friendship has been strained in one way or another. I think it is in large part a result of mixing work and friendship and not talking. Tom, Sarah, and I all have found a way to keep this in balance by taking regular times, outside of work, to check in on how the other person is feeling. It has had the benefit of uncovering a lot of problems before they have caused a nuclear meltdown. With our partners in Asia, we have spent the past year creating a legal document that covers every aspect of our relationship. Everything from placing orders and assessing late penalties to development work and defects is addressed. This was necessary because over the past few years there were many mistakes made and feeling continually hurt. When I think about it, a lot of it was caused by someone not admitting there was a problem. Again, by lying to ourselves. But as the mistakes started to cost us more and more money, it was clear we needed another approach. As painful as this document and process has been, we are nonetheless successful and profitable. If we had opted to delay initial production two years ago in Asia so that we could draft this document, we would never be where we are today. So my recommendation is always to Do Do Do. To make an effort because with the Latihan it is guided by God. Finally, to be diligent with the Latihan so that you can receive these guiding indications that help to lead a full and successful life.